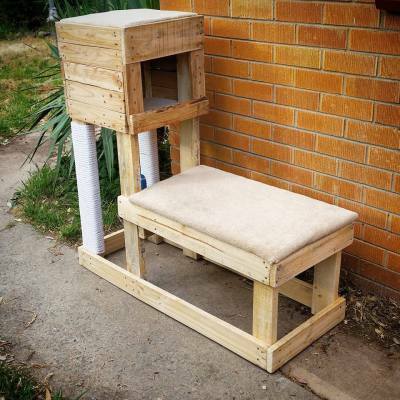 Pallet Pet Furniture is home made from recycled pallets and can be custom made to suit you and your pets needs. Each piece is unique and size can vary slightly depending on what materials are available at the time. It can be left raw or vintage painted, typically cat furniture is left raw because it is designed for them to scratch however it can also be vintage painted by request. Choosing the right bed for your dog is not always as easy as you think, it needs to be large enough that they can stretch out but if they are too big sometimes your dog can feel insecure. 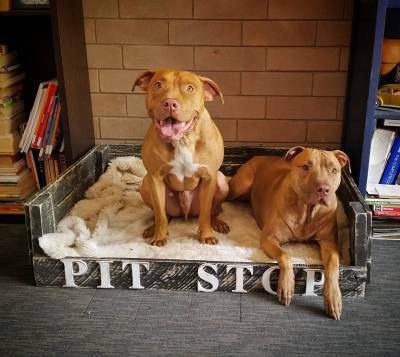 Other things to consider when choosing the right bed is your dogs personality, agility, health issues and also available space in your house. 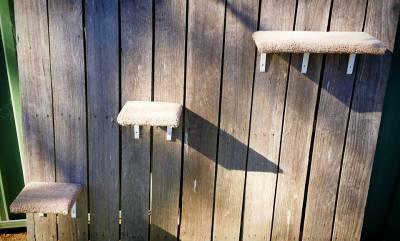 ​​Scratching posts are a vital piece of furniture for every cat owner. Not only does it help keep their claws in shape but it also a great way for cats to release stress, burn off some off that excess energy and also give your furniture a much needed break! It is important to make sure that they are stable enough that when you cat decides to runs and jump on them, they don't fall over. ​​Cats don't necessarily need a huge amount of horizontal space but vertical space is crucial because it gives them the feeling of comfort and security. It also gives them a great vantage point to keep an eye on everything that is going on in your home especially if there are young children or other pets. 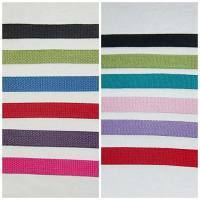 Our leads are made from spun polyester webbing which are strong yet soft in the hand. 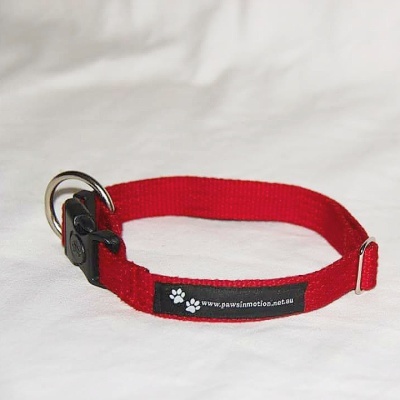 Our collars are made from spun polyester webbing which are strong yet soft in the hand. 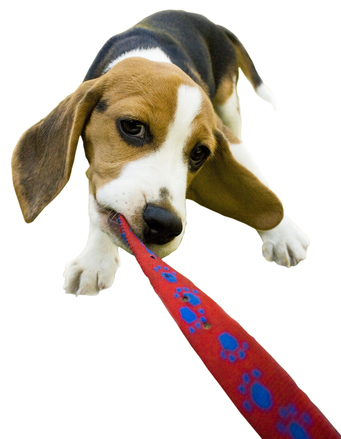 Our collars are made from spun polyester webbing which are strong yet soft in the hand. 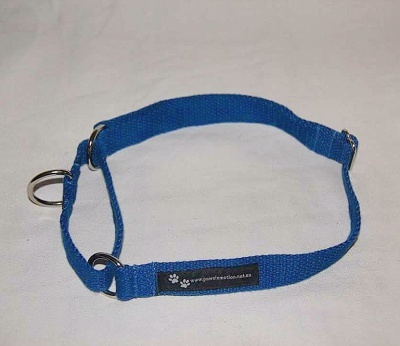 Martingale collars are designed for dogs that can slip out of regular collars or are likely to slip out their collars. 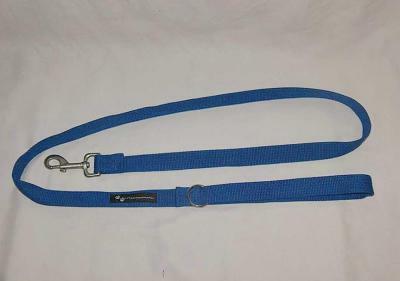 ​Our car restraints are made from spun polyester webbing which are strong yet soft in the hand which connect straight into the seatbelt buckle. 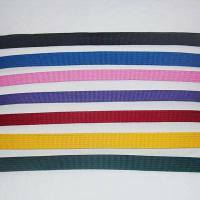 Heavy duty spun polyester comes in 19 or 25mm and is suitable for all dog types. ​It is the law in the ACT to carry poo bags with you while you're out and about with your dog but remembering them can sometimes be a problem. 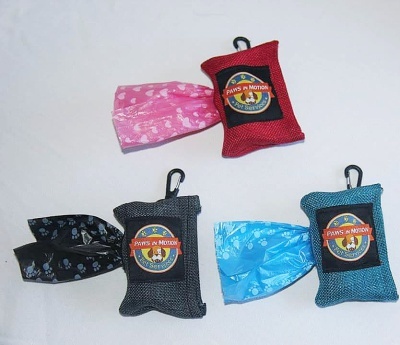 Our poo bag holders are designed to clip straight onto your lead so you don't forget them and are they are made from material instead of plastic so it's not heavy and also so it won't hurt your dog if you accidentally drop it. Clicker training uses positive, reward base training methods and is the most humane and effective way to shape new behaviours. 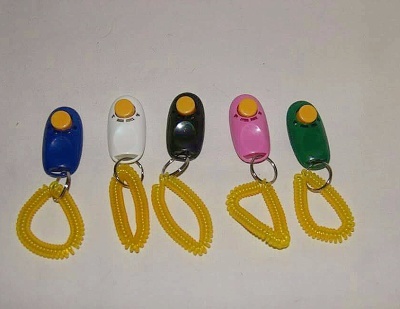 I Clickers are softer than box clickers and are better for dogs that are nervous or noise sensitive dogs. 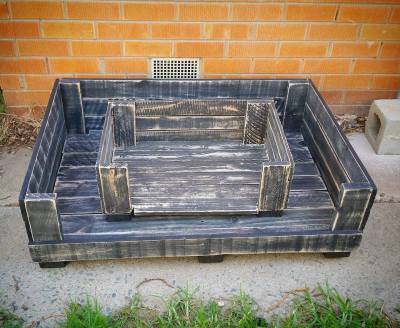 ​If you cant find what you are looking for, custom orders for Pallet Pet Furniture, leads and collars are most welcome by request. 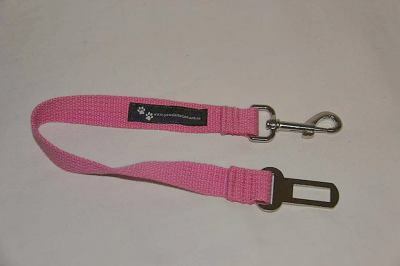 Repairs & extensions on collars, leads and harnesses can also be carried out depending on the damage. We understand that sometimes you and your pets have specific needs so please contact us with your custom design / ideas you may have. Fits Great! 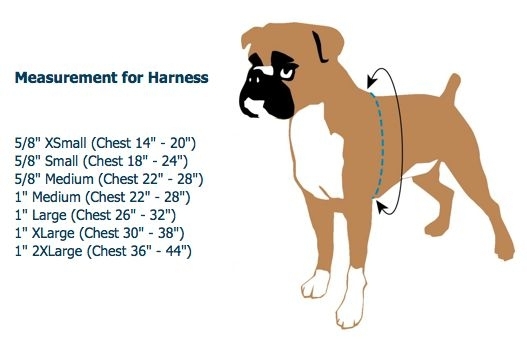 To measure for the harness, use a soft measuring tape (or a piece of string) and measure all the way around the LARGEST part of your dog's chest. Choose the SMALLEST size that fits within that measurement. So, for example, if your dog has a 28" chest, we recommend the size Medium for the best fit. Keeps your dog safe! 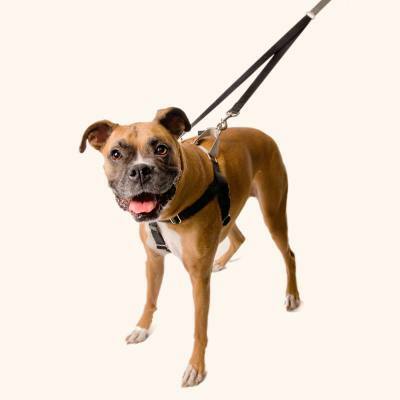 The harness is made with stainless steel hardware and four adjustment points to ensure that it is more than strong enough to hold any size dog, from 6 kg lbs all the way up to 110+ kg. 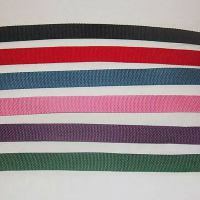 The chest strap is lined with Swiss Velvet, which helps prevent rubbing and chaffing sores behind the legs and the straps are all turned out to prevent sores and raw spots along the seams.